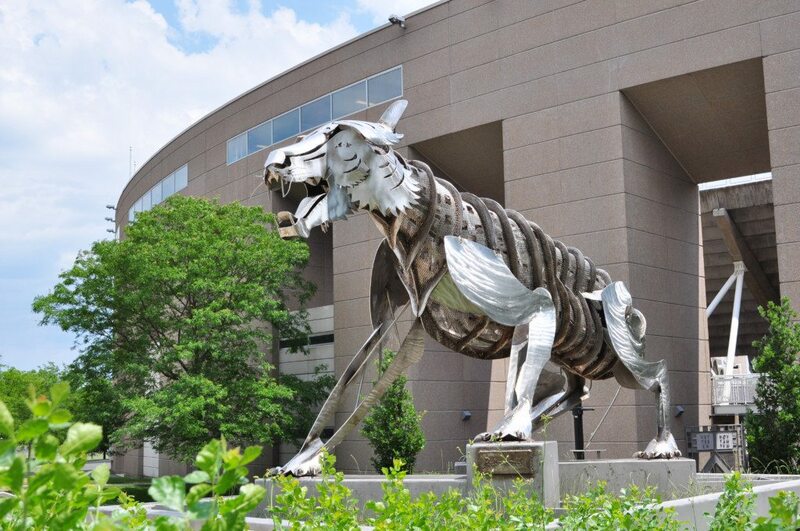 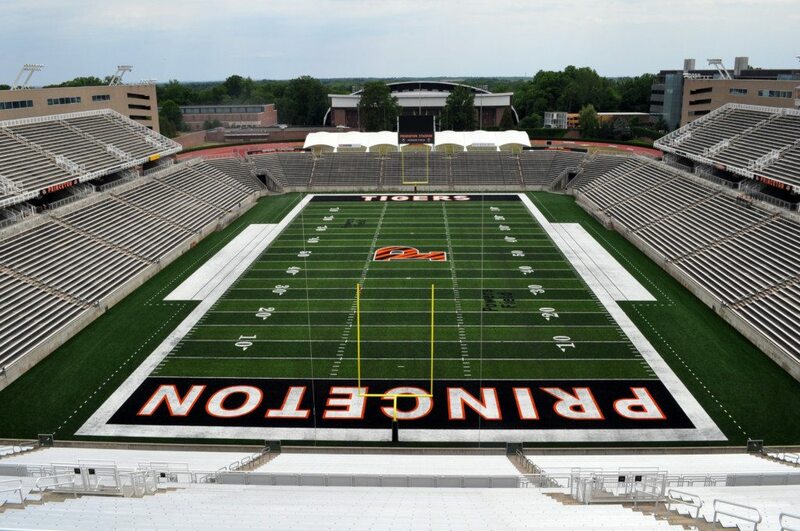 Welcome to Princeton Stadium, a combination of high-tech, intimacy, and modesty that together has created a venue perfectly suited to the University. 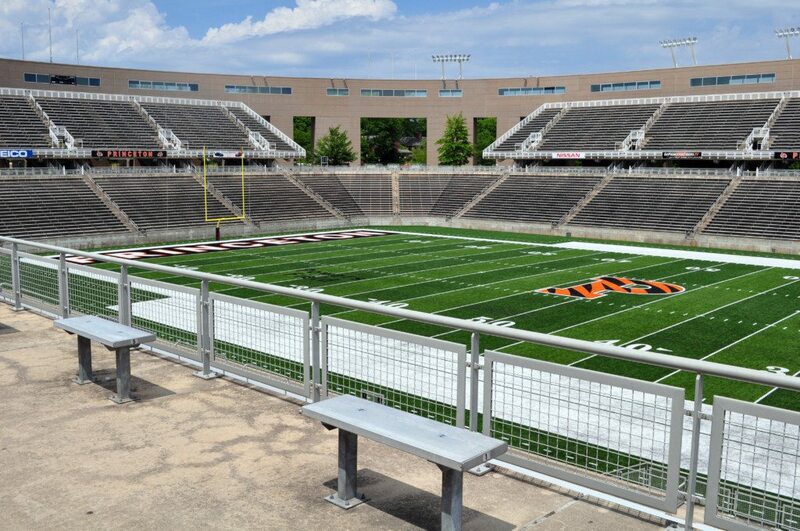 Built in 1997, Princeton Stadium is a facility simplistic in goals and complex in structure. 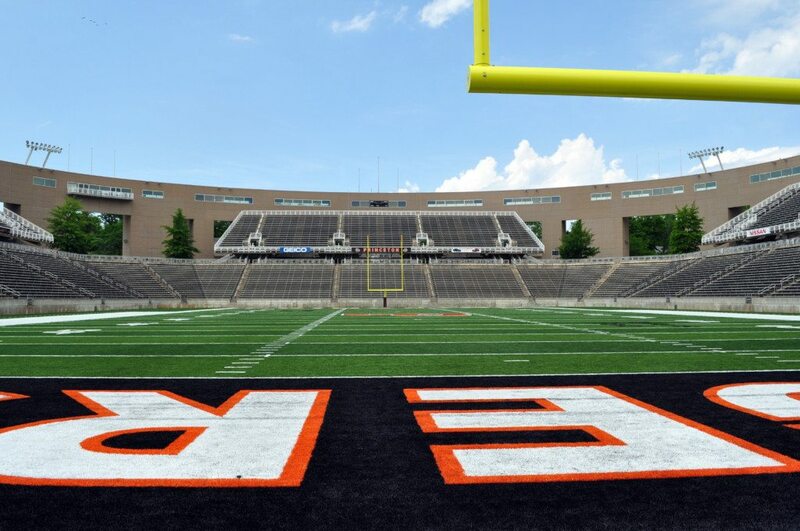 Princeton Stadium was built with more than just football Saturdays in mind; it stands as an extension of the campus, integrated into the daily life of the University. 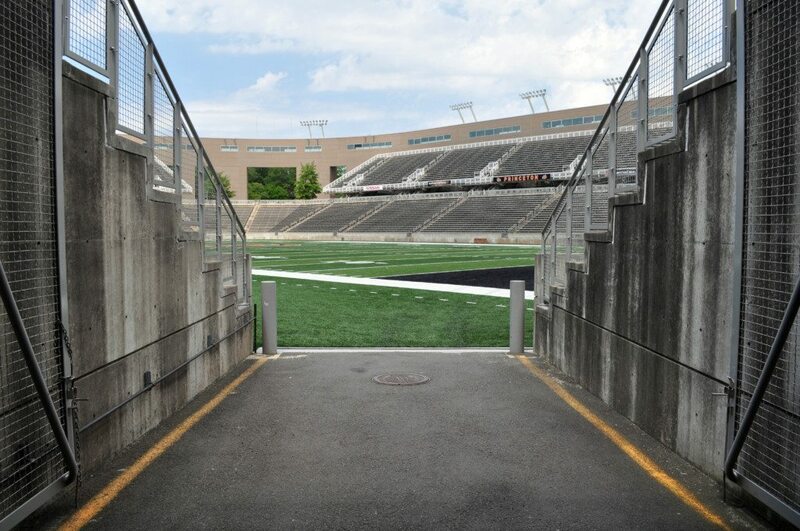 The stadium concourses are always open, and the facility has served as a meeting and banquet place for many constituents. 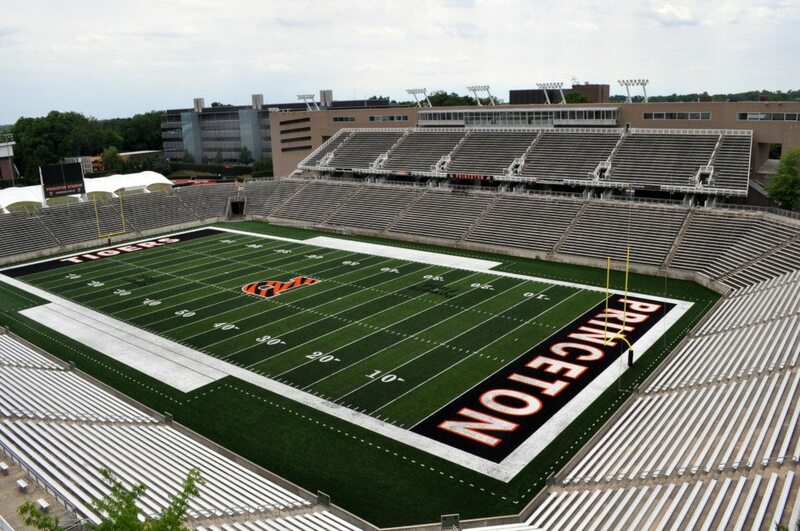 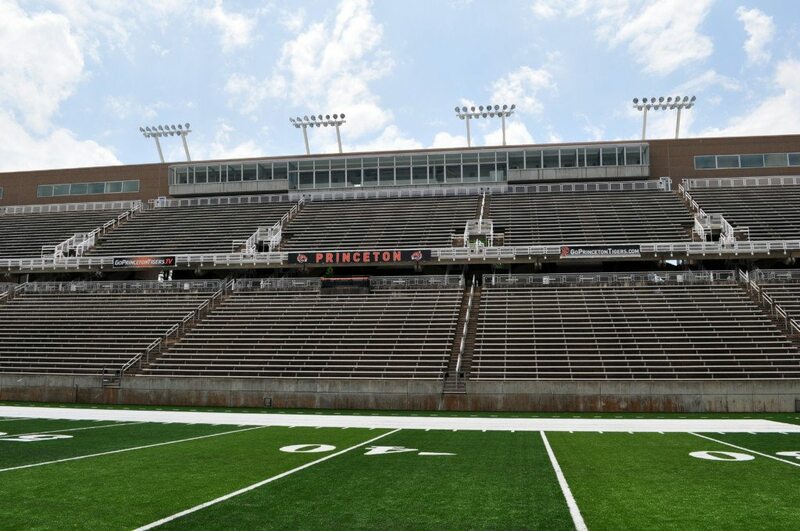 Princeton Stadium seats 27,800 with room for up to 30,000. 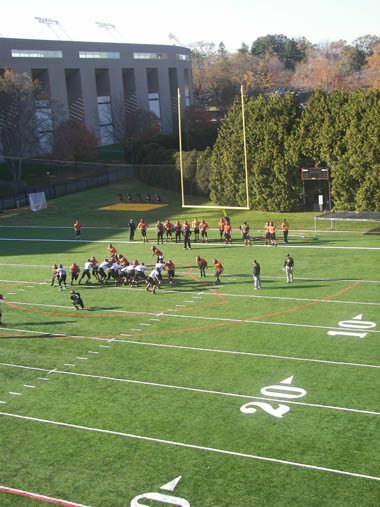 Through a generous gift from alumnus William C. Powers ’79, FieldTurf was added to the stadium to provide an ideal playing surface for both games and practices. 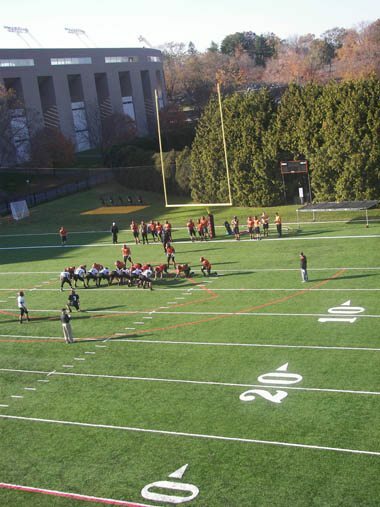 The new “Powers Field” at Princeton Stadium was dedicated in the fall of 2007. 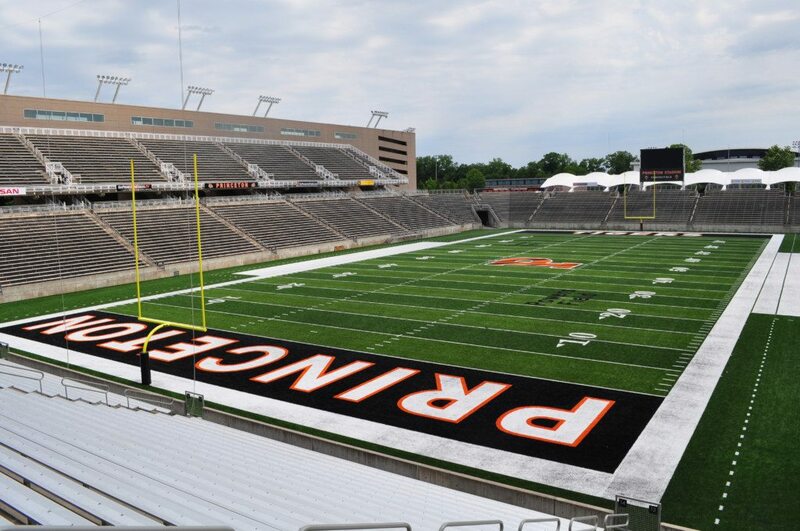 A video board was later added and a new turf surface was installed prior to the 2016 season. 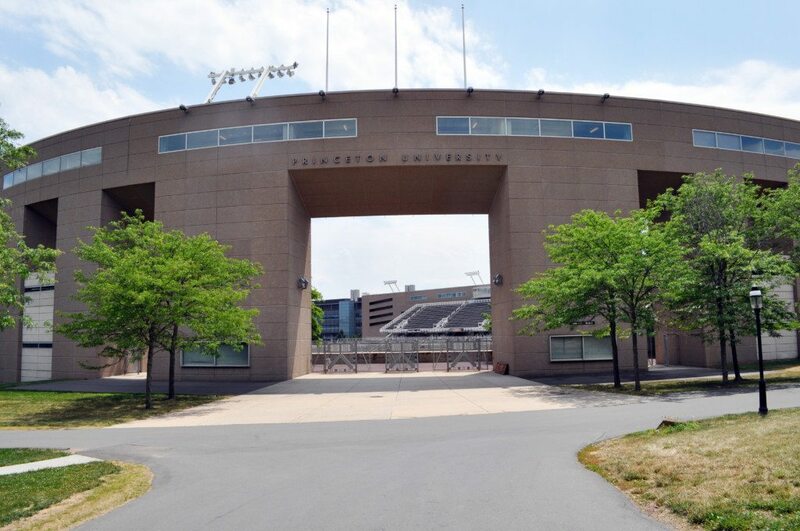 Princeton Stadium stands on the site that was once Palmer Stadium, though the new stadium is approximately 70 feet closer to Nassau Street than its predecessor. 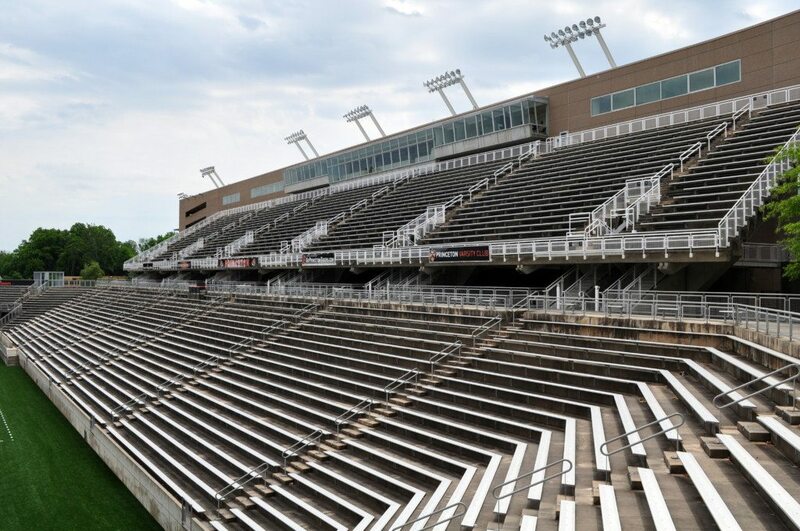 Palmer Stadium was the home to Princeton football for 82 years – from the time it was built in 1914 until it closed after the 1996 season. 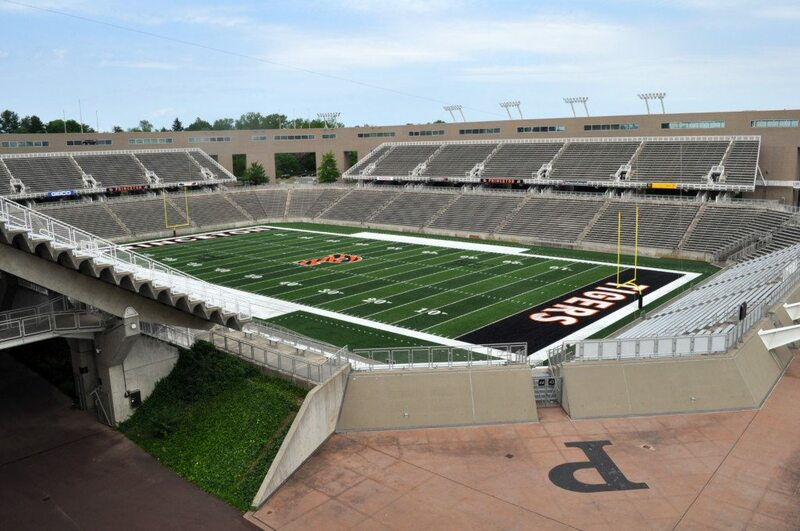 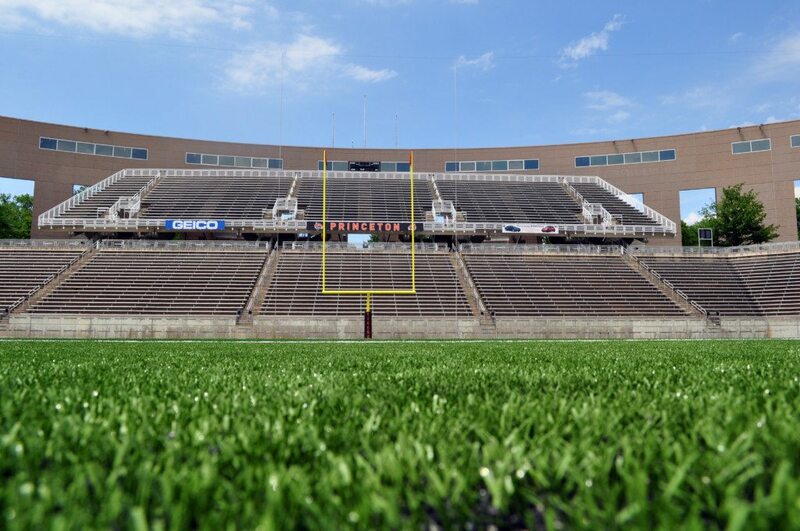 Princeton Stadium rises 15 feet higher from the turf to the top point of the stadium than Palmer did. 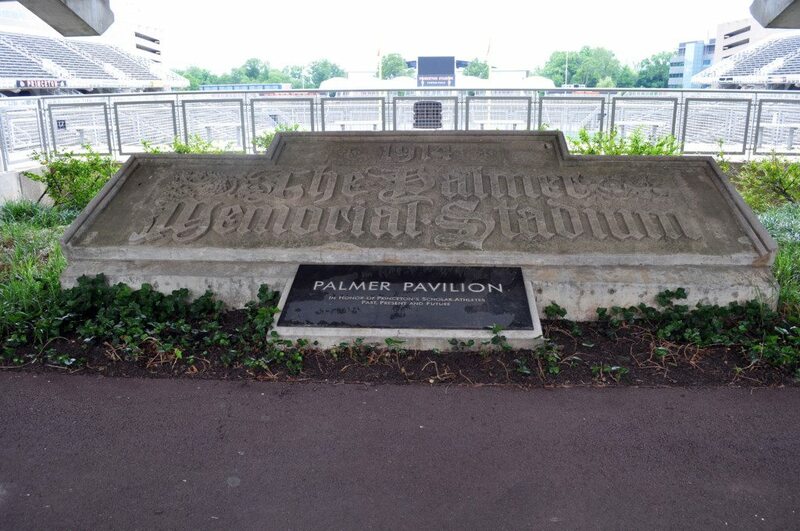 There are fall mums planted around the old Palmer Memorial Stadium stone, which has been preserved and placed in the center of the northern concourse. 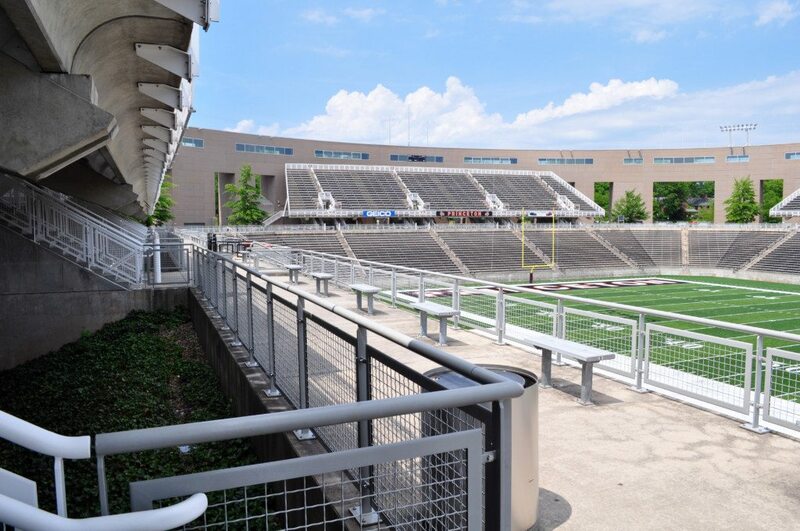 The wall-building, which surrounds the seating area on three sides, is one of the most unique features of the stadium. 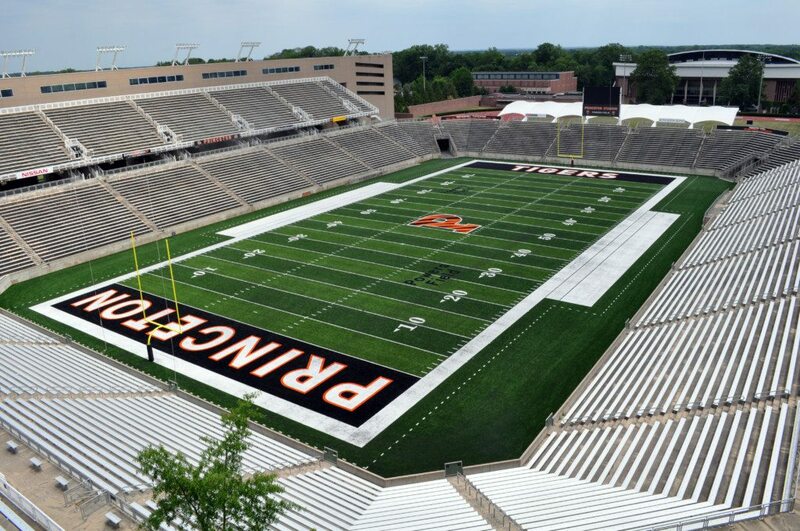 It was built from 3,500 precast pieces of concrete, the heaviest of which weighs 80,000 pounds, or the size of 56 offensive lines. 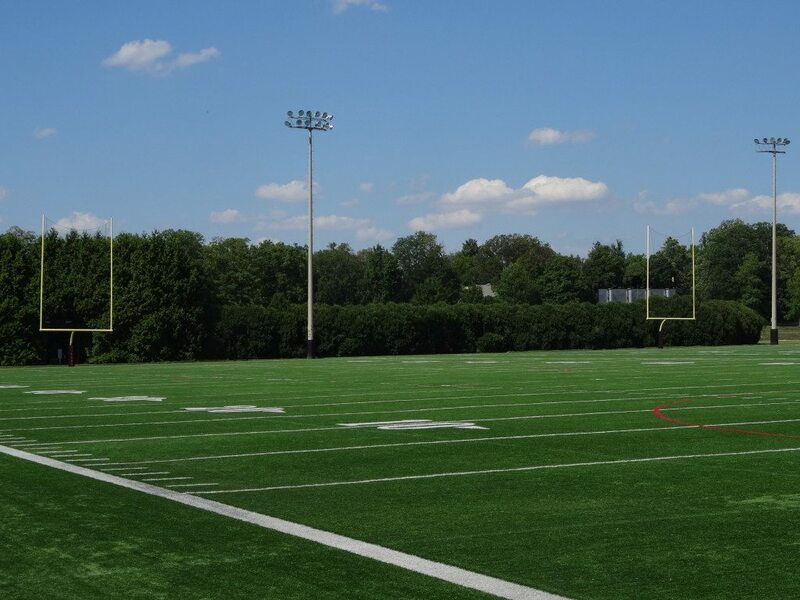 There are two main purposes of the wall-building. 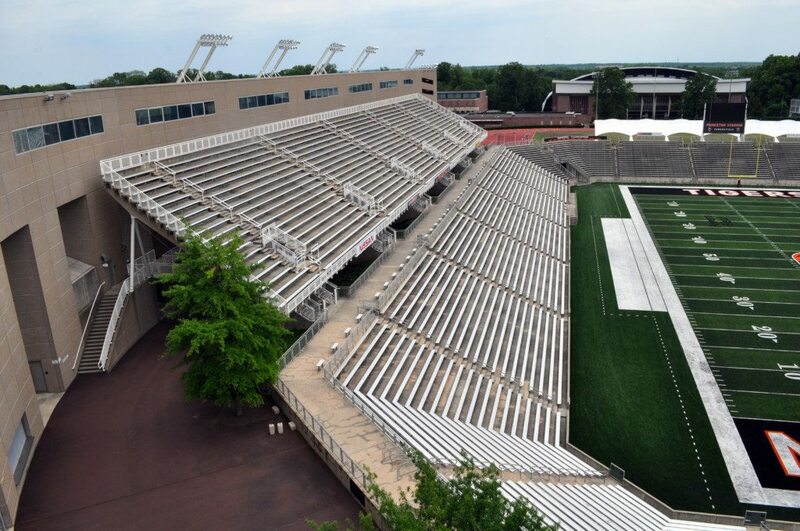 First, it helps the stadium maintain Palmer’s historic horseshoe design while still allowing seating on four sides. 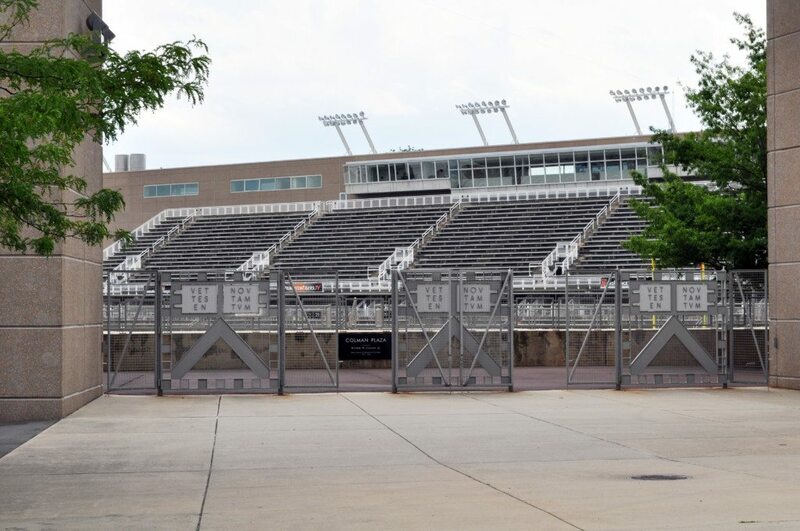 Second, the wall-building houses the press box, a lounge, concession stands, rest rooms and an auxiliary scoreboard.The lighting provides 80 foot-candles uniformly over the playing area, which allows for night games. 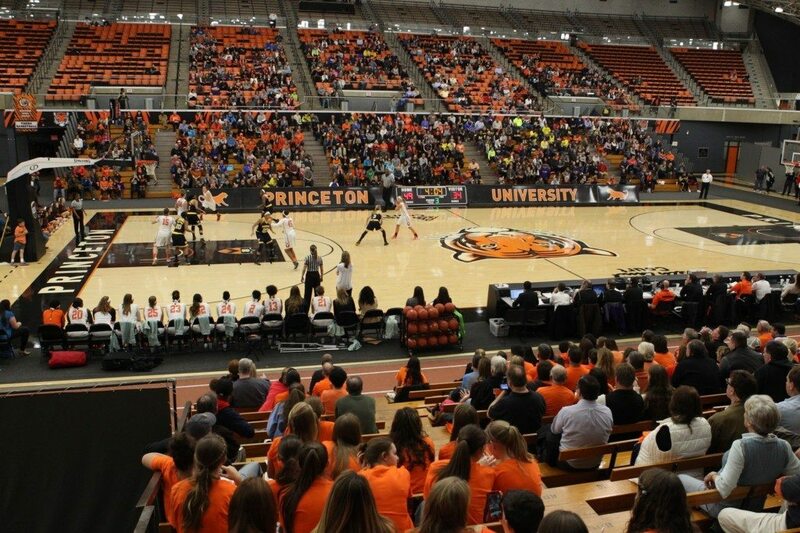 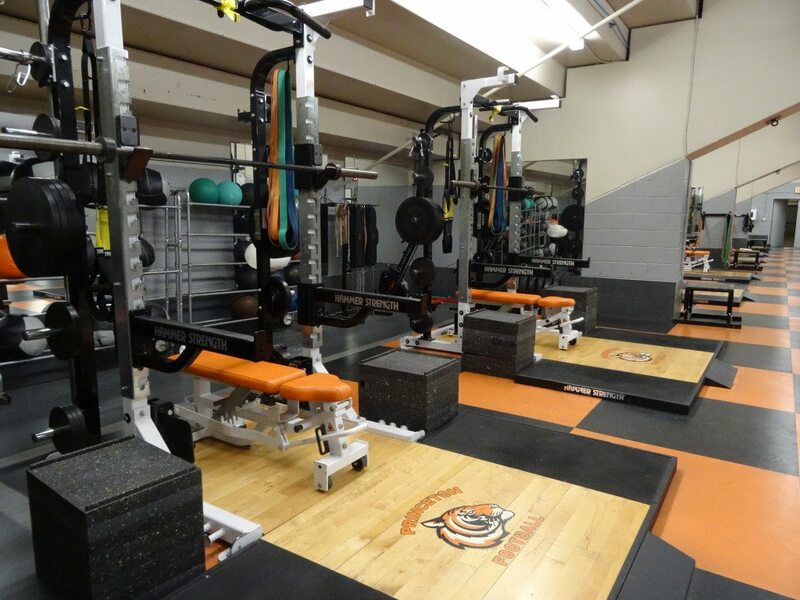 The L. Stockwell Jadwin Gymnasium is a multipurpose athletic facility that has a combined floor space of approximately 250,000 square feet, more total area than eight football fields. 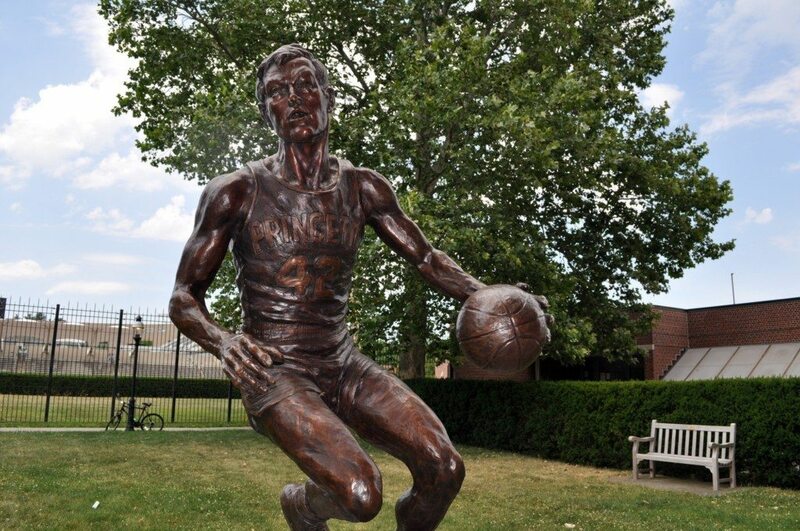 It was formally dedicated in 1969. 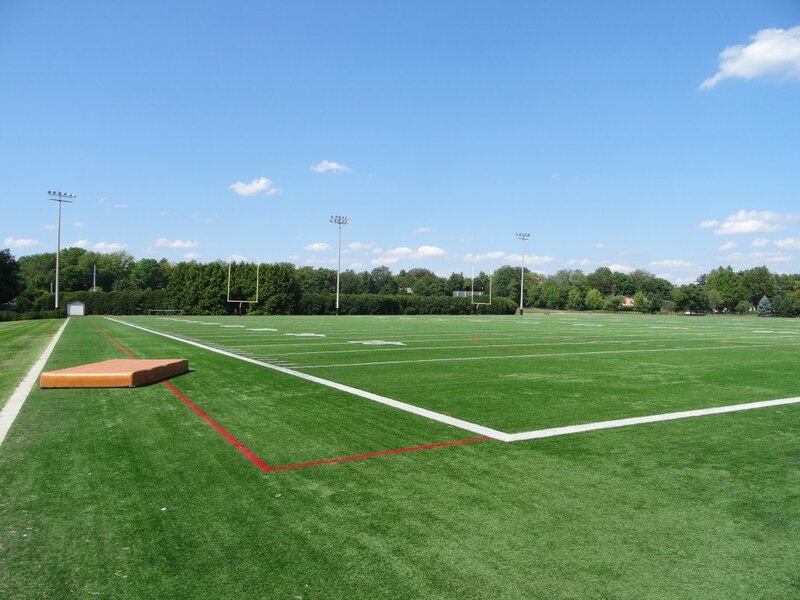 The sublevels beneath the main grandstand hold one of the largest fencing rooms in the world, 11 international-sized squash courts with spectator galleries and a brand-new lounge area, six tennis courts and a baseball/softball practice area with a FieldTurf artificial surface. 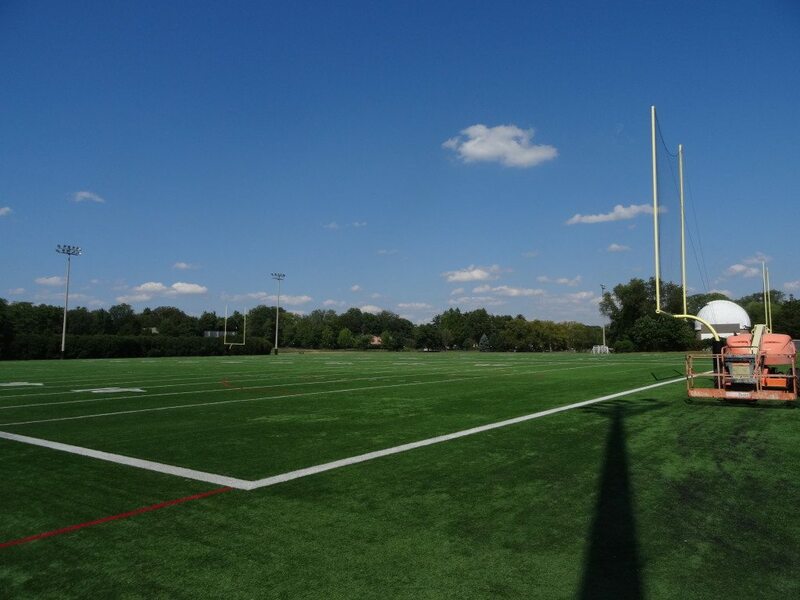 A new LED lighting system was installed over the basketball courts and indoor track in 2015. 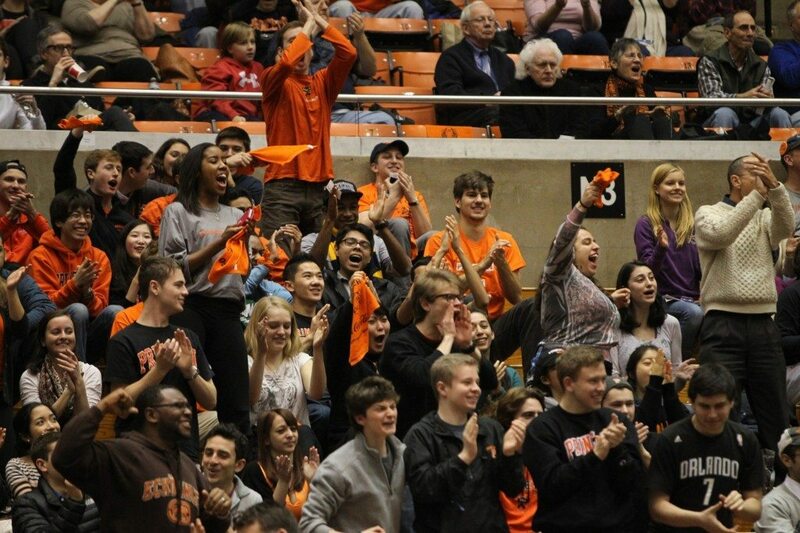 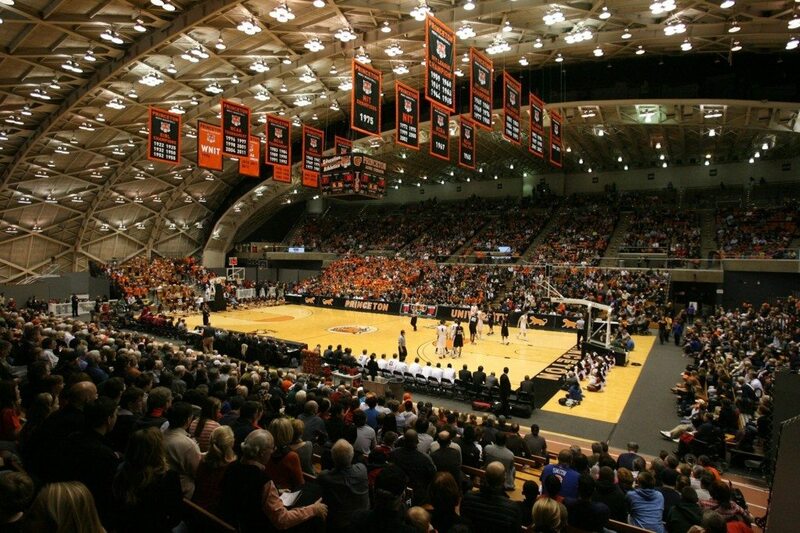 The versatility of Jadwin Gym is highlighted by the variety of events that have been held there over the years. 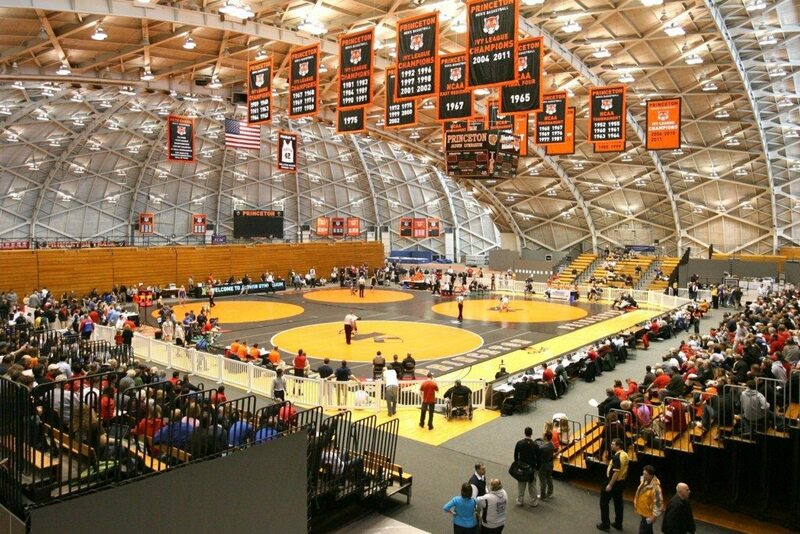 In addition to competition in both men and women’s basketball, tennis, fencing, squash, track and wrestling, Princeton has hosted professional basketball exhibitions the U.S. men’s and women’s collegiate squash championships, the women’s NCAA volleyball championships, the NCAA fencing championships, NCAA and EIWA wrestling championships and countless track meets. 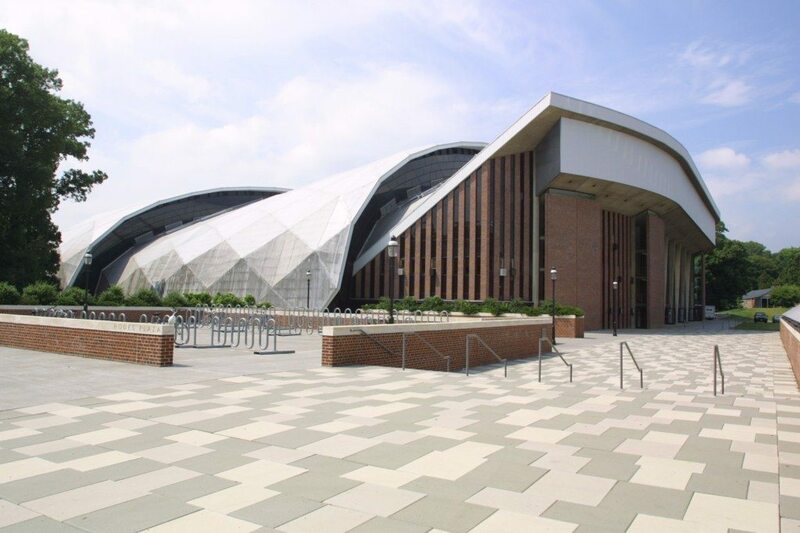 Jadwin Gymnasium is connected to both DeNunzio Pool and Caldwell Fieldhouse. 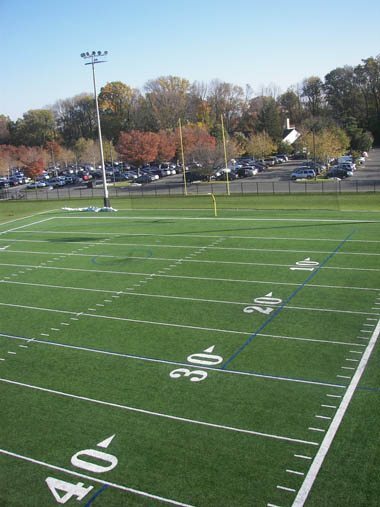 Finney and Campbell Fields were installed in 2010. 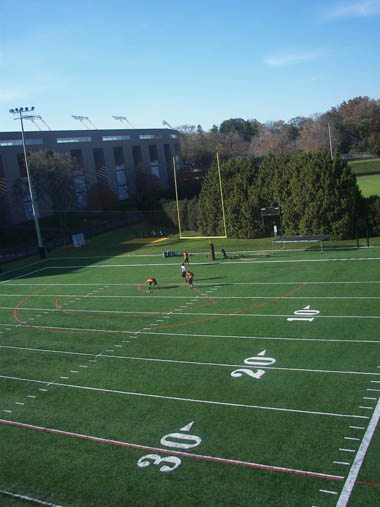 Consisting of FieldTurf, the lighted two-field practice facility was made possible through the generous gift from William C. Powers '79. 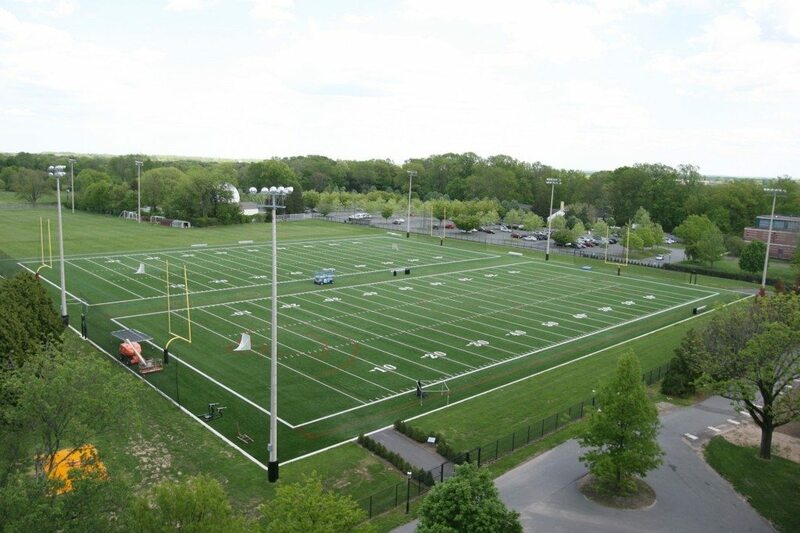 The facility includes two football size fields, each with lines for either men's or women's lacrosse. 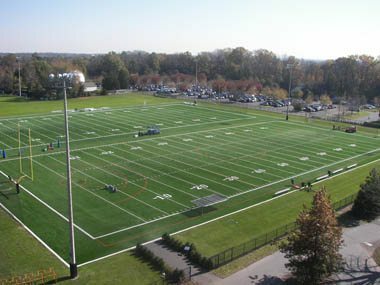 The overall facility size is 400 feet long by 392 field wide and is of FieldTurf Duraspine. 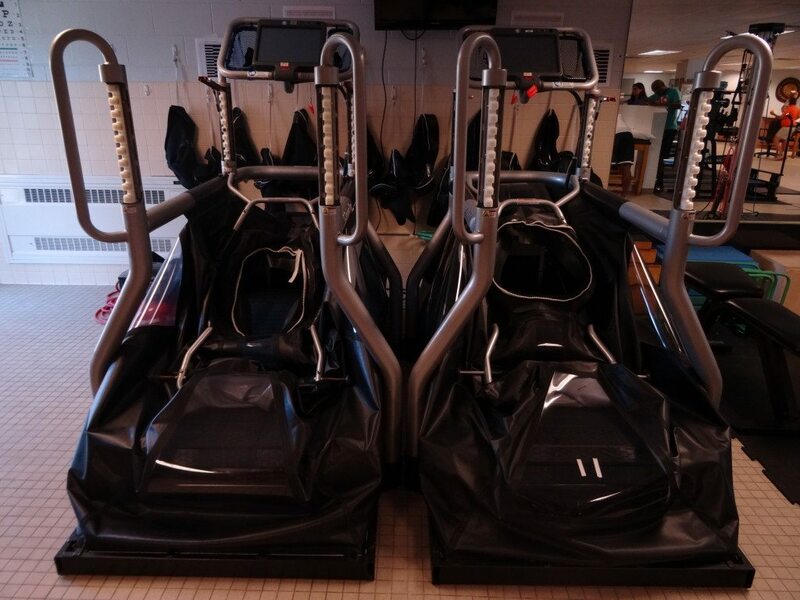 The facility is vertically drained and is capable of holding approximately 900,000 gallons of water. 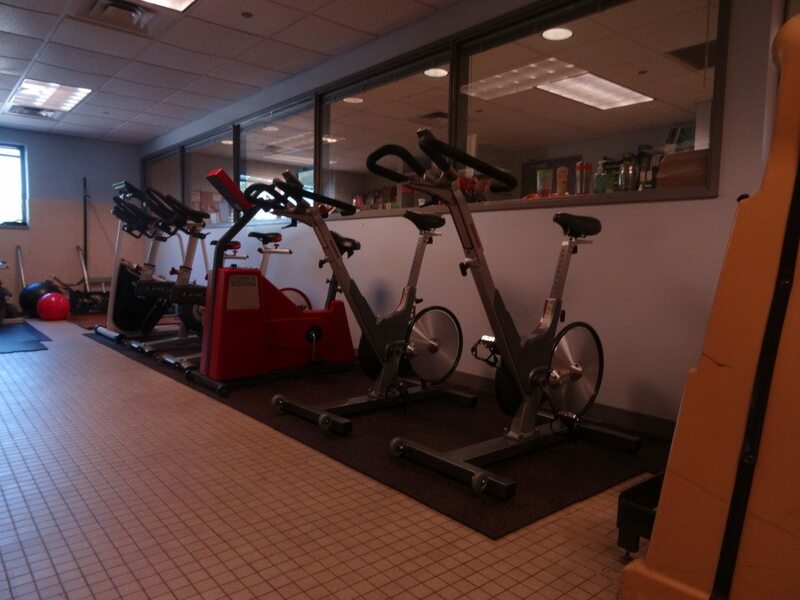 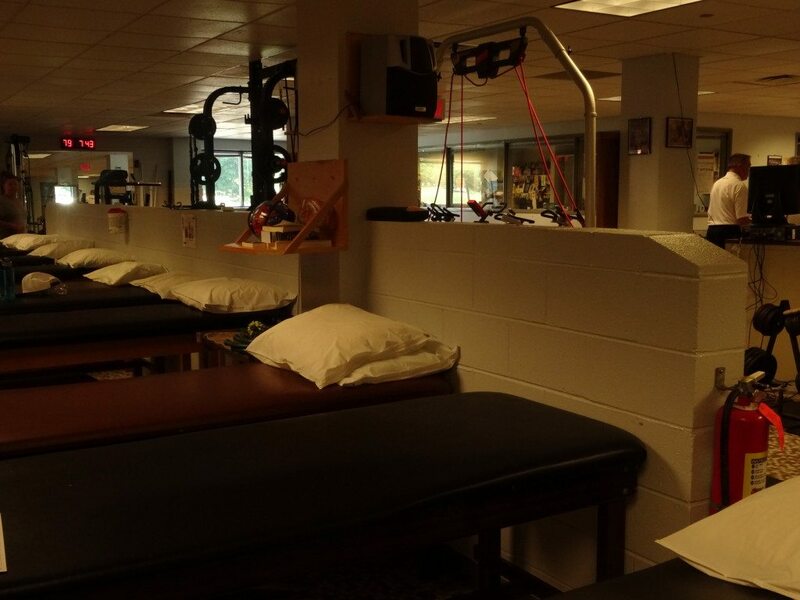 Located adjacent to Caldwell Fieldhouse, the facility is in a prime location with immediate access to team locker rooms and the athletic training room. 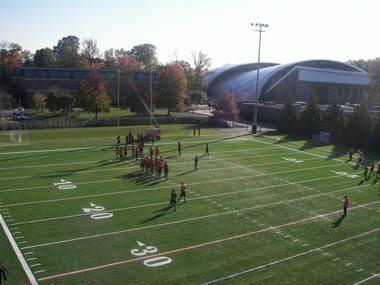 In addition to being used for varsity team practice, summer sports camp are also held at the facility, providing ample space for larger camps. 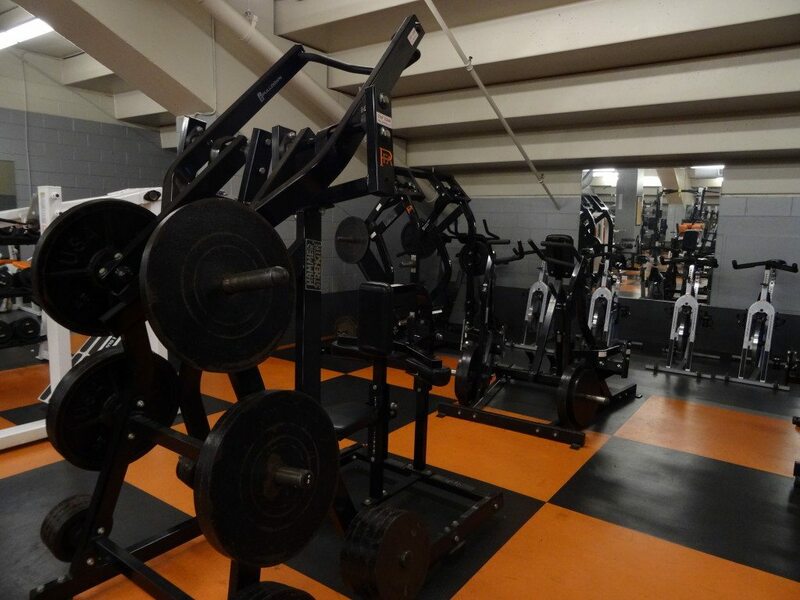 Named in honor of Hall of Fame coach Charlie Caldwell ‘25, the field house (right) contains meeting space, equipment room, and locker rooms for teams other than football. 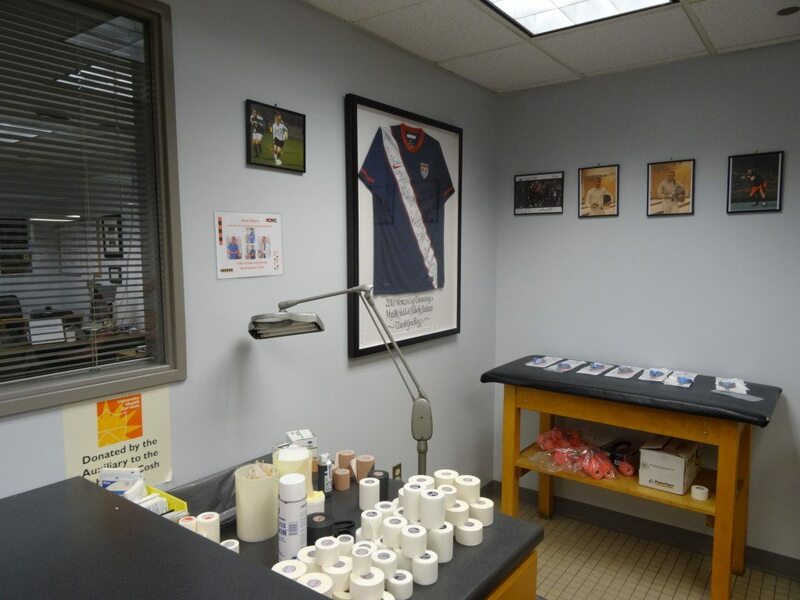 Caldwell also includes the 3,000 square-foot Athletic Training Room, which is a model for the highest standard of athletic medicine. 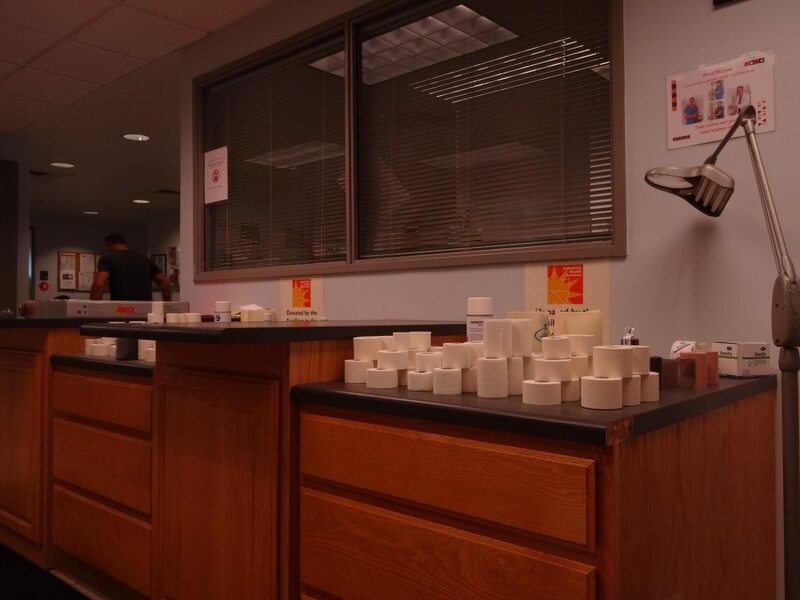 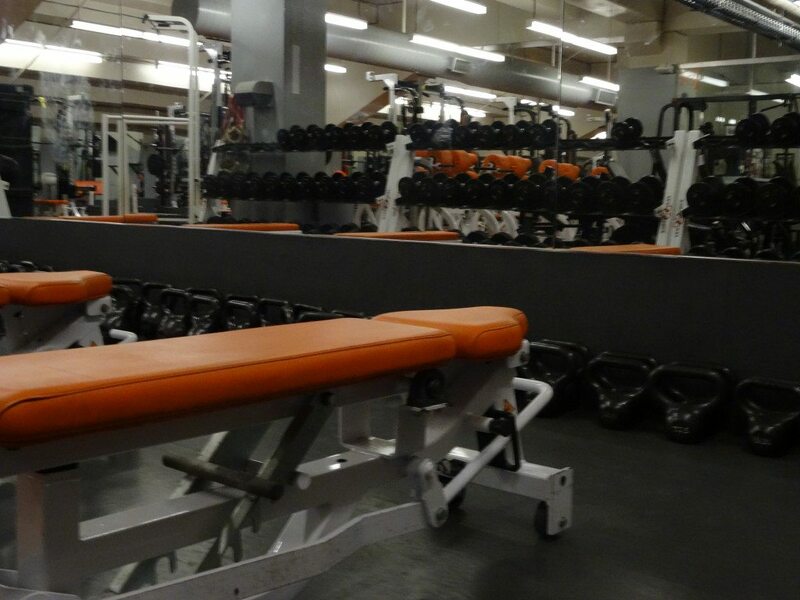 Here, Princeton student-athletes receive the best in preventative and rehabilitative care from the athletic training staff. 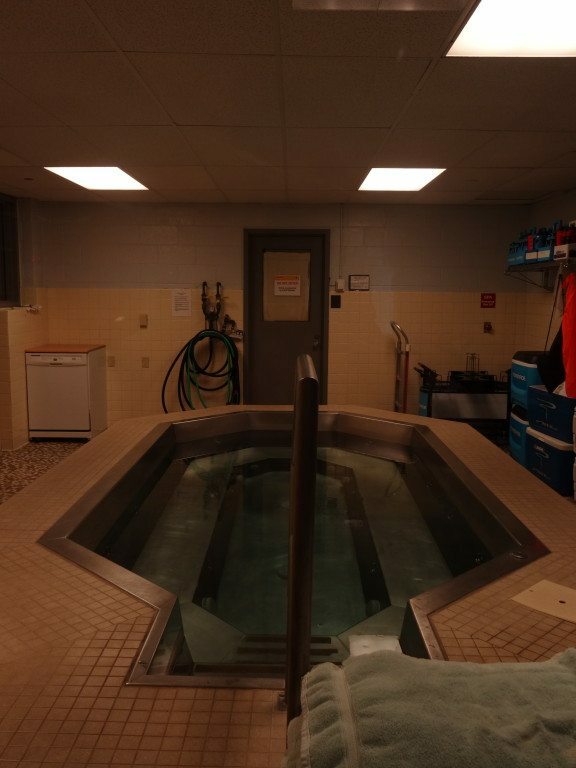 The room contains four zones: hydrotherapy, treatment, first-aid/taping and rehabilitation. 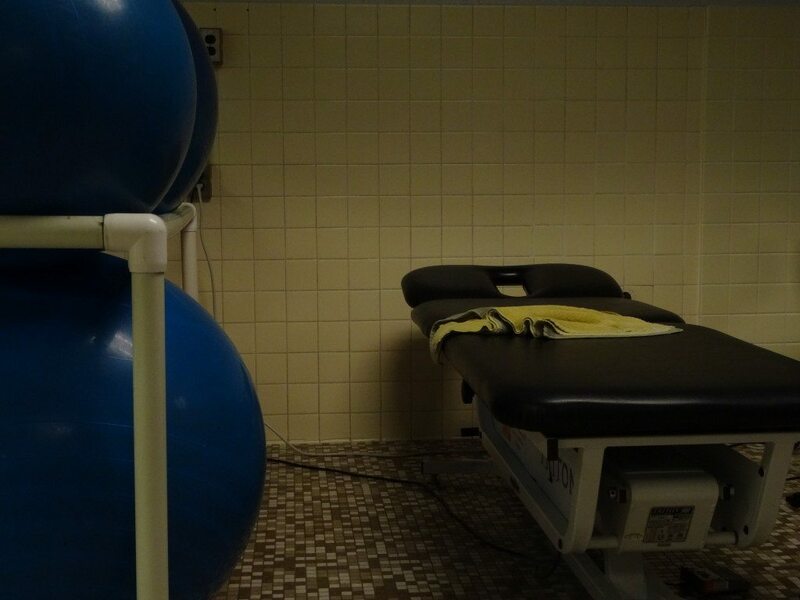 Also included in the expansive room are offices for athletic trainers and physicians, as well as private consulting rooms. 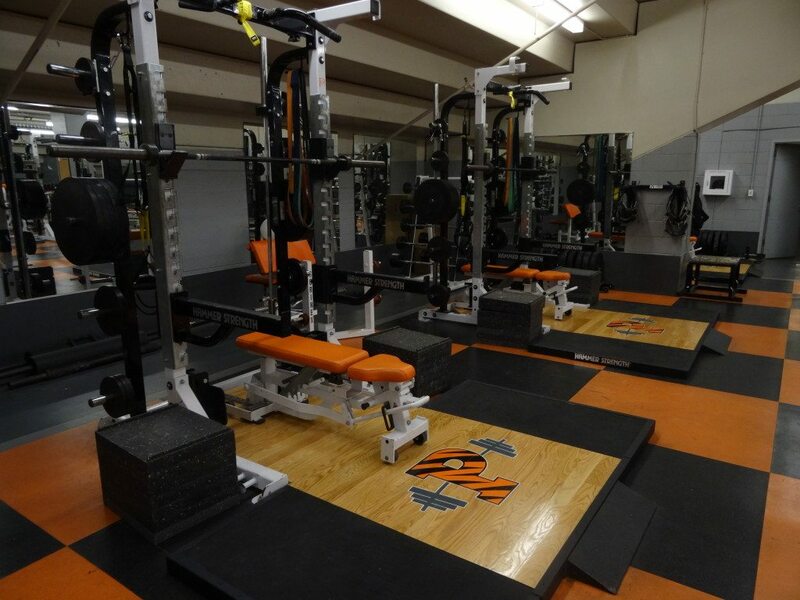 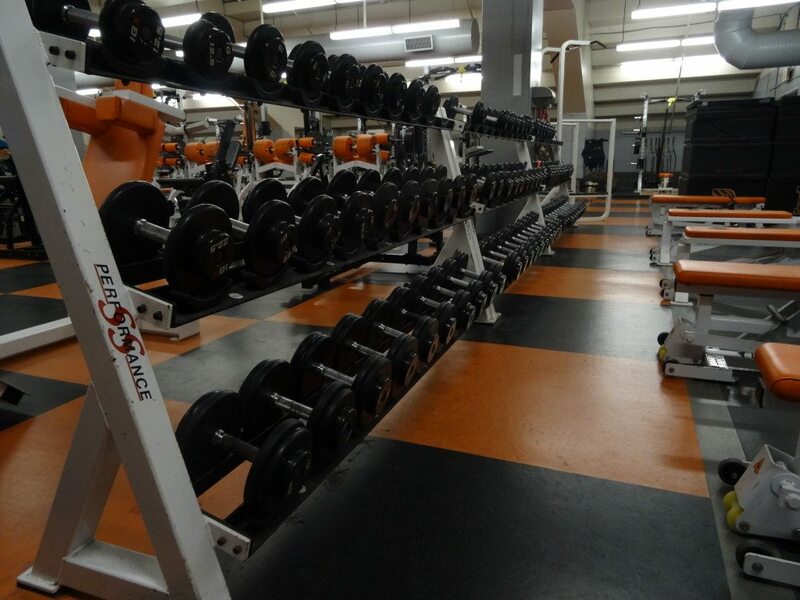 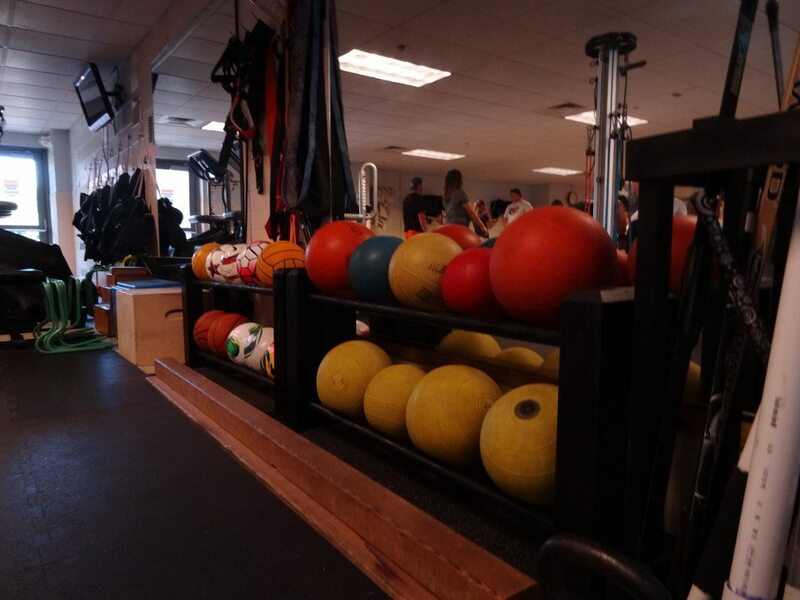 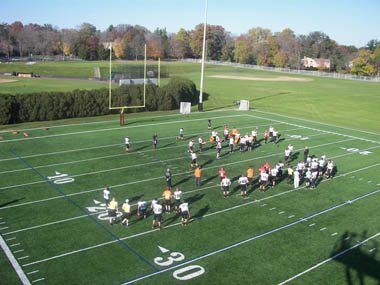 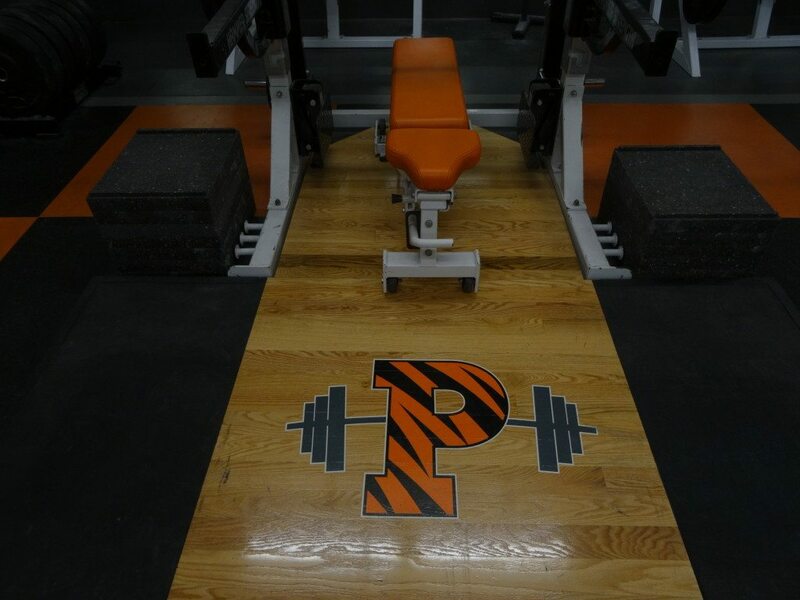 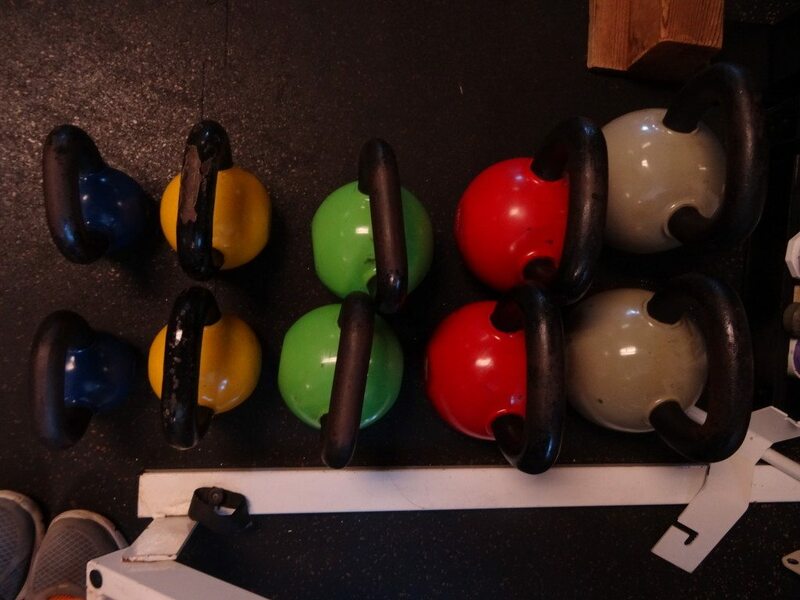 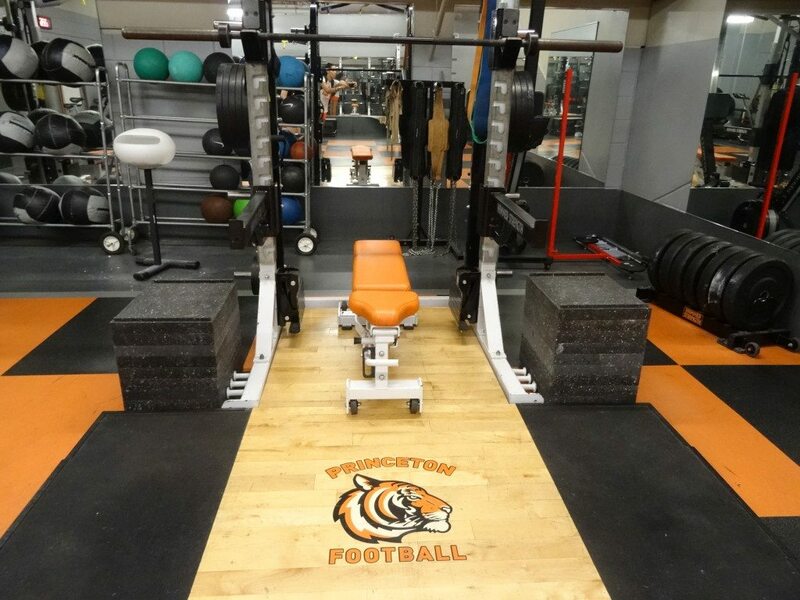 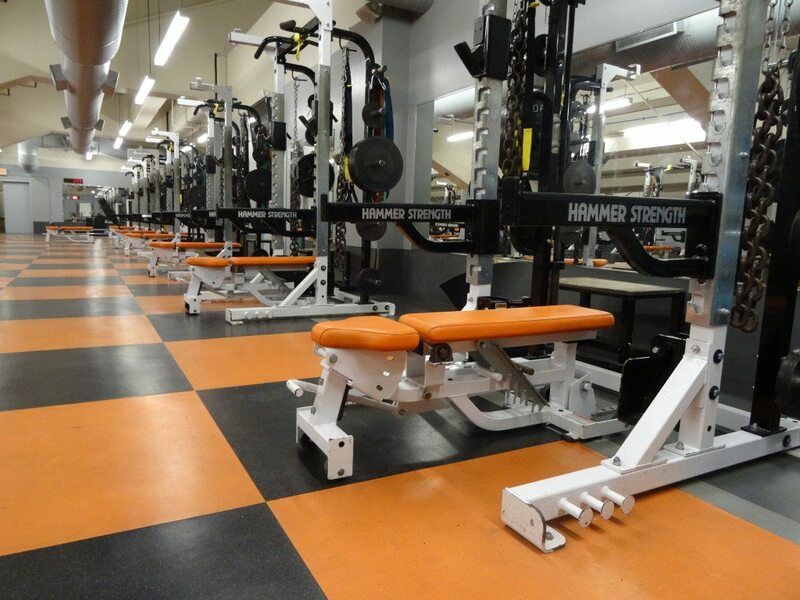 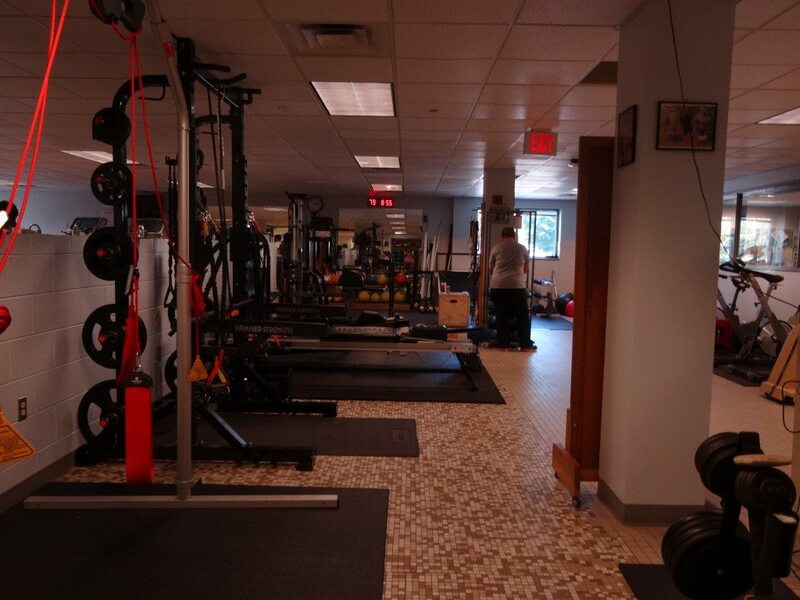 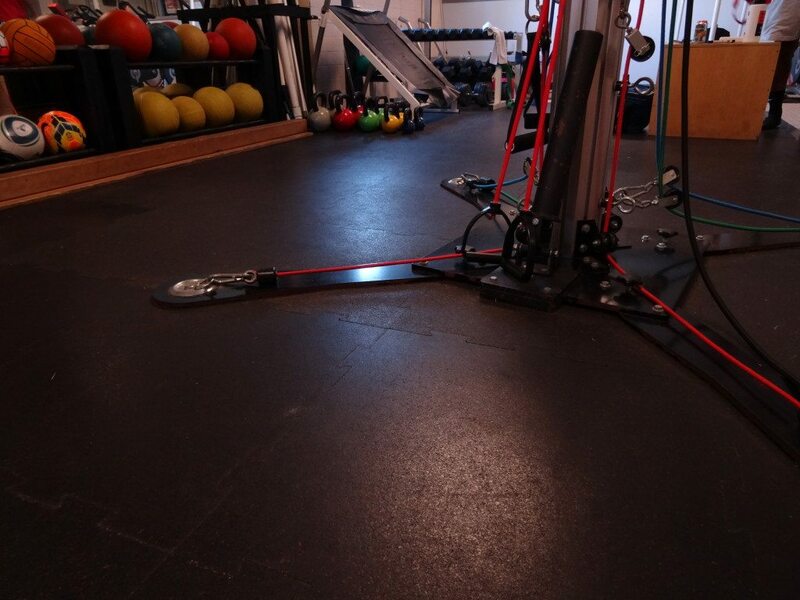 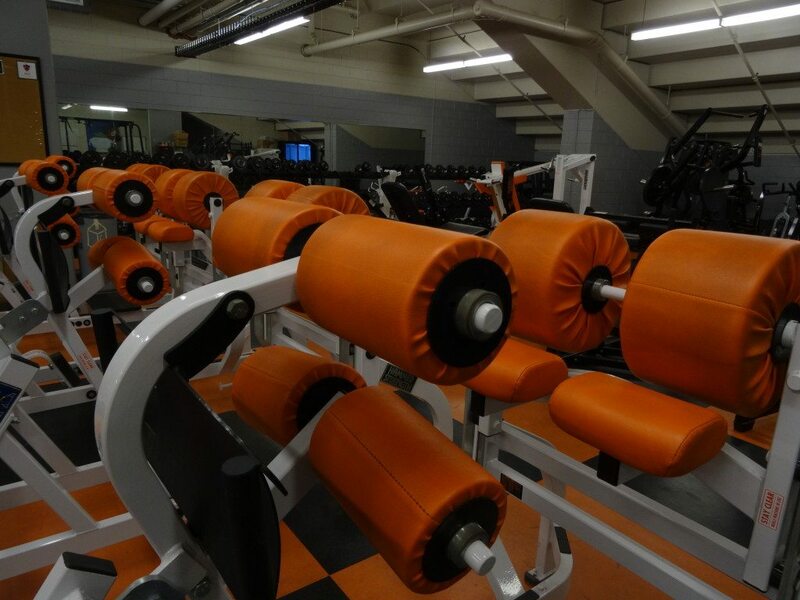 The Princeton football team’s state-of-the-art, year-round weight room is located within Princeton Stadium and features free weights, weight machines, dumbbells and aerobic equipment. 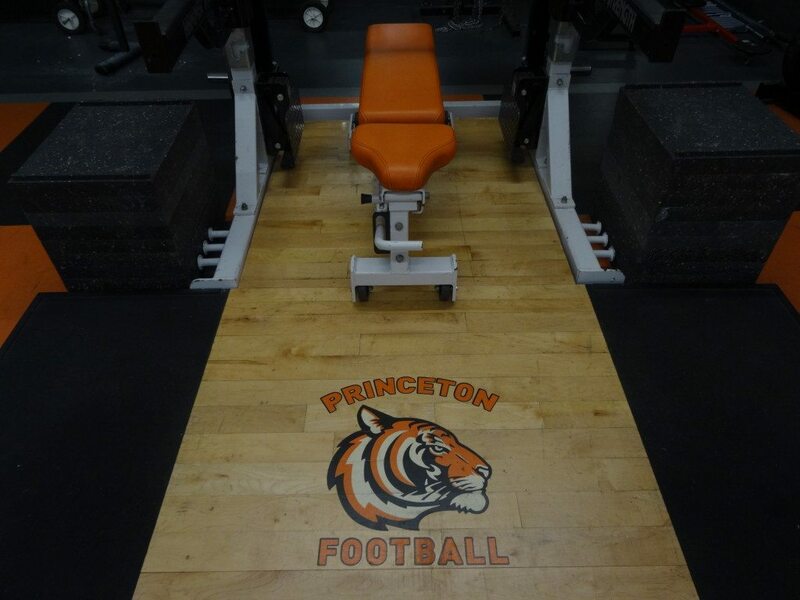 The Princeton football locker room features private lockers for 120 players. 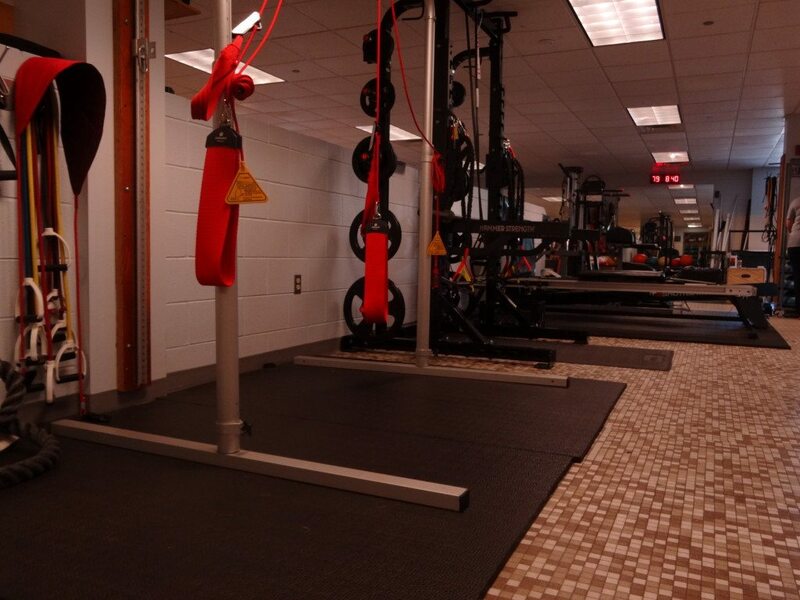 Additionally, the locker room contains a player's lounge, which includes a state-of-the-art entertainment system, and offers a safe place for players to relax and bond during down time.